A review of Riemann P20 all day sun protection - a must for families and the best on the market. Family Hotel Felsenhof – Flachau. Spring Family Skiing. Spring skiing with family is always some of the best skiing. right sunshine, lots of eating out on terraces and the best of both worlds with warm temperatures and good snow if you choose wisely. We are just back from Flachau. 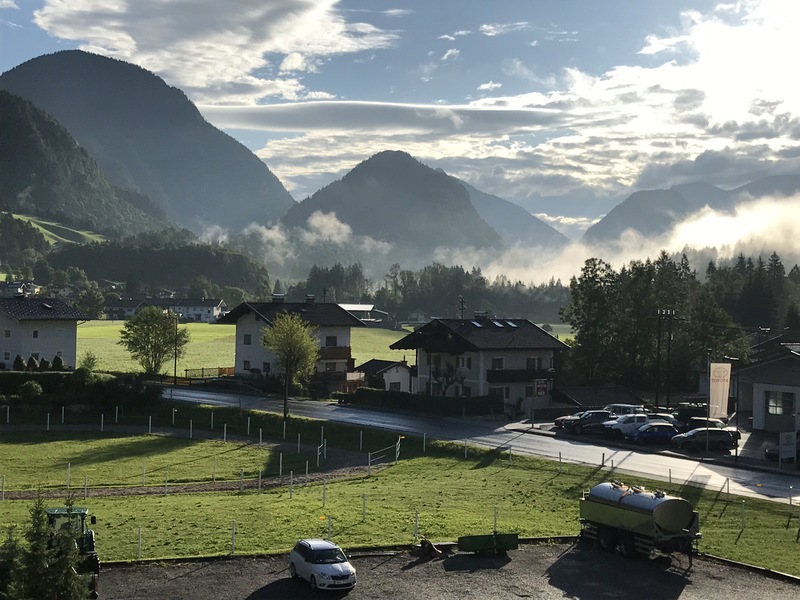 A great, small resort, fifty minutes from Salzburg airport in the Salzburgerland, it forms part of the much bigger and easily accessible area of the Ski Amade. 270 cable cars and lifts, 684 kilometres of pist, modern lifts, a great selection of runs and high altitudes with a glacier and excellent snow-making facilities if needed. It’s as snow-sure as you get for April. So, kitted out in Emmegi for the adults and the superb Mini A Ture for the kids, off we went. We skied the last week of the season and saw some wonderful snow and good weather to boot. The biggest worry- making sure that you wear high-factor sunscreen! As you may have noticed, I’m always in Austria! It’s because they do family hotels like no other. I know nowhere comparable where you can safely leave a baby in the hotel and ski to your hearts content, safe in the knowledge that they are being looked after to the highest of standards. The Family Hotel Felsenhof sits just outside Flachau. Run by the charming Kohlmayr family, it’s a haven for families both in winter and summer. Flachau itself offering a huge number of summer and winter pursuits too. In the hotel, top-notch childcare for age 1 and upwards from 8.30-5, six days a week and two kids’ dinners, all included in the price, it’s the best way to holiday with children. The hotel is welcoming, cosy and relaxed but also modern and luxurious in an understated way. A stunning new swimming complex – small but perfectly formed and designed by the owner’s architect sister, it houses both a pool for adults with water jets and waterfall and one for kids with a separate family sauna too. Focussing on wellness for all the family – there are numerous treatments for the younger guests too, the spa is exactly what you would expect from Austria. Every type of sauna, infrared cabin, massages, facials, packs, bath and scrubs, sanarium, gym, Ayurveda and lots more. 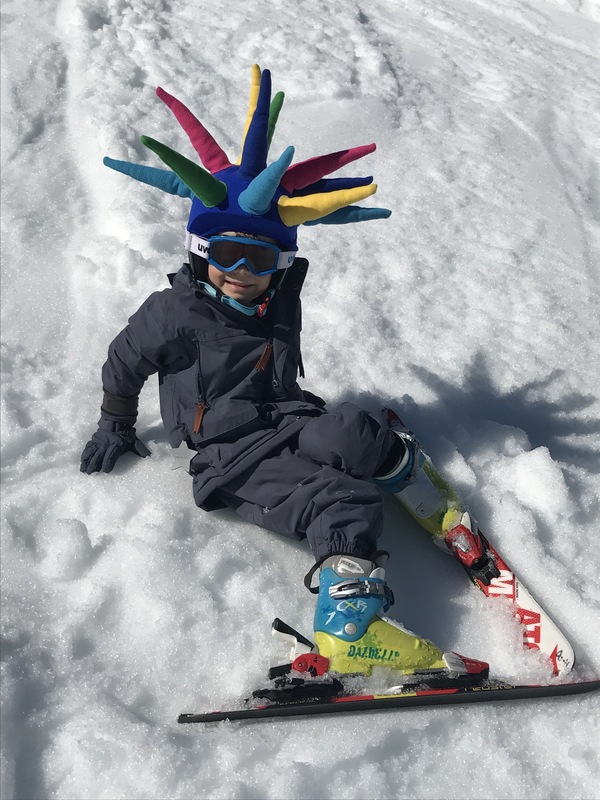 In the winter, leave the older kids to be picked up and dropped off at the end of the day by the capable teachers at Ski School Flachau. Alexander took to his group and teacher immediately. She even kept in contact with my via WhatsApp. For the adults, just jump on the ski bus directly outside the hotel and a short journey takes you to the lifts. There’s also a ski carousel and free ski hire for much younger ones directly at the hotel. Hopefully next year our two year old will be there! All just makes things easy for the parents. It’s is what they do best here. 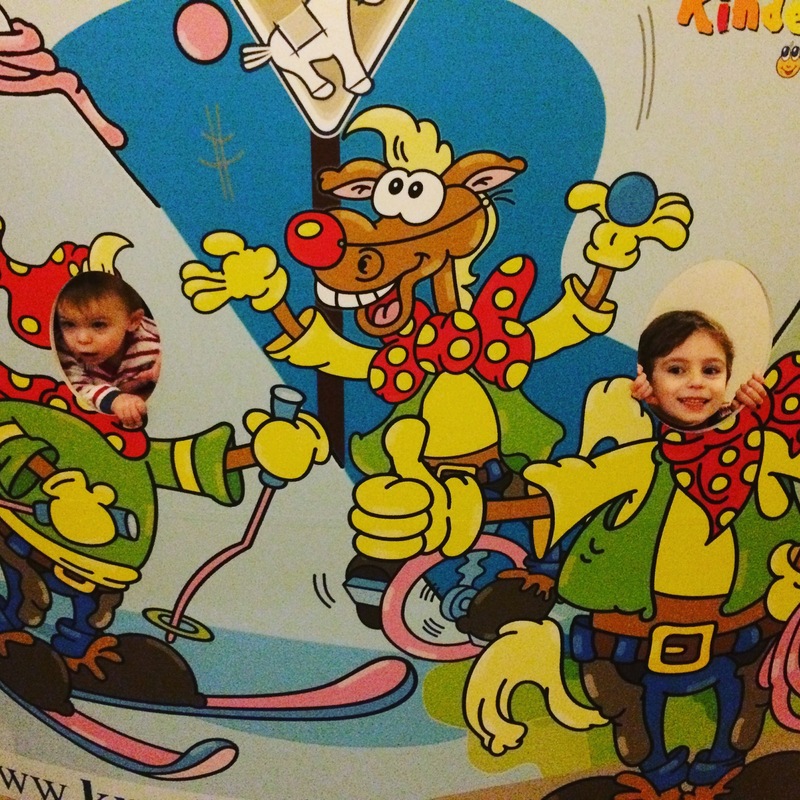 For the youngsters left at the hotel, there’s a funky 200m2 kids arena, complete with baby lounge and ball pit. Then, there’s a climbing wall, table football, air hockey and more for older ones. A playroom beside the restaurant is just another cleverly thought out addition. Every night the kids buffet opens early and offers healthy, yet appealing choices along with a free baby bar offering baby food and milk and everything needed to prepare 24/7 for the smallest guests. All the equipment is there for you, including buggies, baby baths, changing mats and bottle warmers. Outside the hotel, a massive enclosed playground with trikes and cycles, a trampoline and more. I couldn’t get my children out of there and luckily in the great spring weather, we almost felt like we were on two holidays; both summer and winter! Free bikes for adults with baby seats already attached, summer really is as good as winter here. Access to riding for adults and kids alike plus a farm, this place is a dream! Activities are endless from golfing to archery to high rope courses. I hope that we will return one day to experience then at first hand. Back at the hotel, there’s accommodation to suit every traveller from single rooms to ones sleeping up to seven guests. We were in a gorgeous, modern, family apartment. With a separate bedroom for the kids, super-powerful shower and double terrace, it was our little haven. Flat screen tv’s and cleverly-designed sliding doors, using all the space to its best. Wifi is free too. A holiday isn’t a holiday without good food. The 3/4 board option is truly great value. Think groaning buffet breakfasts with choices of cold meat and cheese, eggs, hot food, cereals, mueslis and lots more. Hot and cold drinks available all day for free, another afternoon buffet complete with a hot dish, cakes and salads for late lunches and a table service at dinner with mouthwatering choices from the daily changing four/course menu. All included in the price. Each days there’s either a dessert or starter buffet as well as a huge salad buffet. Foodies are spoilt for choice. The week flew by. Mornings skiing whilst baby Gabriel was content in kids club, out for walk in the sunshine (suncream always applied!) fed at lunchtime, his sleep then a snack and lots of play, he really took to the lovely girls looking after him. They are a credit to the hotel. There over Easter, the little ones all got a huge bag of goodies and an Easter Egg hunt too. It’s the thoughtful touches that really sets this hotel apart and I knew that I’d chosen well. We were genuinely sad to leave. We dropped our skis and paraphernalia back off to the lovely Marcus and his team at Flachauer Schistadl – I highly recommend them for value and service. This lot go out of their way to help. Marcus even dropped our shoes back at our hotel to save me a journey on the first day. Lovely people! Then it was homeward bound. Flying Monarch is a dream. Salzburg airport is also small and efficient, so you are out in minutes. The flight, ground staff and cabin crew all made the experience painless. ‘Like flying back in the 80’s’, I was told by a very helpful member of staff on the phone pre-flights, when I needed help changing seat bookings – and he indeed was right. We weren’t herded on like cattle, or squashed in and service really was with a smile and even a joke. Pricing was also much better than the competition so check them out next time you fly anywhere. Back at Gatwick, a call to another newly-discovered, brilliant service; help-me-park and our car was waiting for us literally outside the doors of the terminal. I have become a convert to driving to the airport. Always valet parking though. You are in control of both the speed of the driver and when he turns up! help-me-park were courteous, friendly and professional and instead of meeting in the car park as many do, you are met directly outside the terminal upon arrival and departure. Bon voyage!